Traditionally, link accounts for the lion’s share of “off-site SEO”. In recent years, however, there has been a lot of commotion going on. Some people were quick to prematurely announce the death of link building. Well, what is true is that we can no longer rely on tactics like frantic link spamming. Relevance and quality content are aspects that are gaining importance and Google’s ability to detect and deal with shady practitioners has been increased. But, this is far from suggesting that links are leaving the limelight of SEO. The practice of link building still has an important role to play in the world of SEO. The fundamentals have not changed all that much, albeit the specifics are different. The problem is that the link building has earned a somewhat notorious reputation and its practitioners are seen as people pledging allegiance to the dark side of the SEO. These misleading notions only obfuscate the truth. In a nutshell, links lay the groundwork for the digital structure that enables search results to deliver relevant results to internet users. Some experts even assert that links can be matched only by the quality content in terms of importance. There are several reasons why links are a valuable asset, from the standpoint of both search engines and web owners. First off, link building requires a material investment on your part. You must own a website, forge content, and include a link in it. Once you do that, you are basically making a public endorsement and associating your brand with other brands out there. Think about it: Links actually prompt users to leave your website. 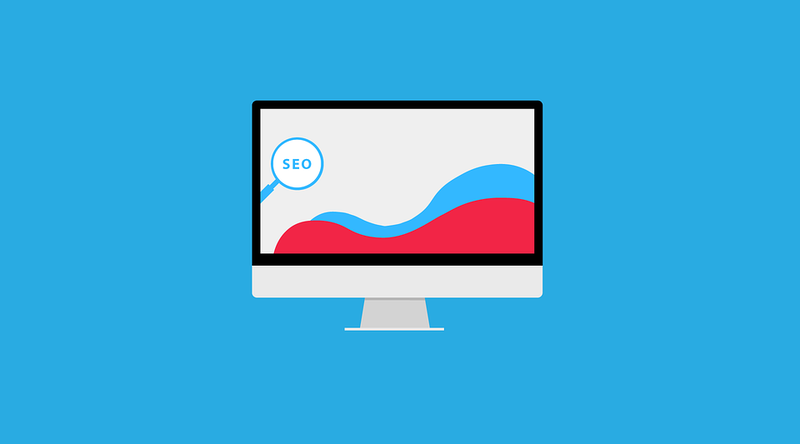 You are trying to bring more value to visitors this way, which is something that search engines appreciate. Moreover, unlike links in social media posts, links encompassed by content on your pages is static, enduring element. Therefore, it is highly unlikely that Google will abandon links as a ranking factor. It could, for instance, use social signals instead, but that implies dependence on third-party platforms that are run by its competitors. As for the buzz-worthy user engagement, it is simply not an overly dependable and accurate metric. Contrary to that, a high number of quality links is one of the most reliable indicators of this quality, which has to be earned fair and square, over time. As experts from Seomator underline, it is crucial to note Google aspires to offer the users only the most relevant search results. In order to do that, it gauges one vital factor, the authority. Hence, it does not come as a surprise that the correlation with better rankings is strong and significant. The value fluctuates, but is usually above 0.3. We have more proof: It is estimated that 99.2% of all top 50 search results have at least one link to the other website, while 77.8% have a link leading to the other page. To stress the importance of quality, some claim that 5 good links easily outweigh 50 bad ones. Likewise, the number of domains linking your site has an impact on your rankings. As people from Domains Index point out, it is better to have 10 links from different domains than 10 from the same one. And to make it easier for you to separate the wheat from the chaff, Google has come up with the list of common link building mistakes and, of course, the Google’s Webmasters Guidelines. It is clear that manipulative links with non-existent value are exposed. Google punishes purposeful attempts of deceit and gaming the system is becoming increasingly difficult. The streak of manual penalties has sent shockwaves across the cyber universe and it seems things will never be the same again. Prior to that, key algorithm updates such as Penguin have already established new rules of the game and advanced quality as a main guiding light. So, those who claim that decline of link building is underway mostly have spamming tactics in mind. But, let us not allow black hat give the whole industry a bad name. With the Penguin iteration number 4.0, Google has reached a point where it does not need to just punish websites with bad links. Instead, it simply identifies and ignores them. As you might imagine, such a treatment from the almighty gatekeeper is basically a death sentence. This is not to say that manual penalties are not issued, because they are, outside the aspects addressed by the Penguin update. If anything, the black head practitioners have been driven deeper underground. So, know that you have to likely step up the game and prioritize quality over quantity. It is necessary to think beyond immediate avail, and set your eyes on the long-term horizon. Produce a stream of relevant and engaging content: It is the tide that lifts all your cyber boats. If you ask me it is only fair that being a strong content publisher naturally attracts links from other websites and increases your credibility. There is no other way to safely hit the mark with your efforts. Link building has become a controversial tactic in the realm of SEO, but there is a light at the end of the tunnel. A zero-tolerance approach to link spam is already setting things right. Besides, links are telltale signs Google uses to estimate your authority and trusted, diverse portfolio of links remains a vital ranking factor. So, if you want to show up for keywords in search results, engaging in link building is a given. Strive to build authority and add value to users. Steer away from fishy tactics that only impede your chances of making it to the forefront of SERPs.